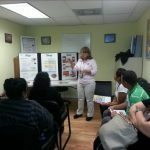 The Center for Immigrant Advancement, Inc is a non-profit organization created to make an impact at the local, state and national level to advocate for the needs and rights of all immigrants while creating a positive difference in the community and in the lives of Hispanic Immigrant Families. To advocate and serve immigrant families providing legal assistance and community orientation to the Hispanic American. 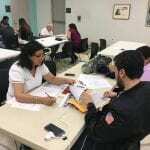 Citizenship programs assist client with the preparation for the naturalization process. Immigration - Advocate for immigration rights in Washington. Come take the next step to become a U.S. citizen! Date: Saturday, May 4th, 2019. Please call for citizenship information sessions & citizenship clinics.